Most clients ask me about what they need to do to get their homes sold in today's market. Many worry about furnishings, floor coverings, and paint being out of date, and others worry about the way their house looks on a daily basis. Remember, you have a life! So what if you have a load of laundry sitting in a basket in the bedroom or a couple of unwashed dishes in the sink, who doesn't? You live in your home and you need to keep things so that they feel as comfortable as possible for you and your family. Despite these minor details, there are some simple things you can do to help your home sell more quickly. Believe it or not, my best advice for those of you looking to sell your home is to make sure it is CLEAN AND ORGANIZED! That's right, you don't have to hire a professional stager or an interior decorator to design a home that looks picture perfect everyday, you just have to tidy up and organize the little messes that life hands us. All home buyers notice when a home is clean and organized, but few care whether or not you have the latest in designer furnishings. In fact, I get more comments about how clean or dirty a home might be versus anything else! Sounds like an easy fix, doesn't it? Preparing to list your home is your first opportunity to declutter and downsize before making your move. Take a look through your cupboards and closets and identify the items that you rarely or never use. These items should either be thrown away or put into boxes and totes for moving later. Cabinets and cupboards that are bursting at the seams scream "NO STORAGE!" to buyers. In addition to the kitchen, don't forget to go through the cabinet under the bathroom sink. Buyers appreciate having a clear view of the plumbing and any potential leaks that might be covered up by stashes of cleaners and toilet bowl brushes. In addition, it is a given that we all have a "catch-all" drawer or cupboard in the house, so try to organize this as best you can without misplacing the screwdrivers, tape, pens, fishing line, and checking account statements that get tossed in there when unannounced company shows up! The first thing I want you to remember about having a clean home is that it should be clean from top to bottom. This might mean that you have to dump a few Asian beetles out of the light fixtures and wipe the cobwebs off the ceiling fan blades. Don't forget to pull out furniture and dust the floorboards after you vacuum the couch cushions (even though your furnishings are not included, they do accentuate a room). If you have some stains on your carpet, do NOT try to cover them up with an area rug as you will only upset a buyer who discovers them at the final walk-through. Try to have the carpets cleaned if necessary, and if that doesn't do the trick, leave stains in plain sight so a buyer can make his/her own decisions about floor coverings from there. Appliances should be pulled away from the wall and cleaned behind, under, and inside. Trust me, people are going to look in your fridge and in the the oven (especially if appliances are included)! Don't let last week's kitchen disaster come back to haunt you! Everybody's least favorite room is the bathroom, but try to devote some time to making it sparkle. The shower, tub and toilet can be big turnoffs to potential buyers if they are grimy or stained. Likewise, the vent fan can catch a lot of dirt in those little slats so be sure to vacuum those out regularly (this will also help it operate more efficiently). Another good idea is to wash all of the windows inside and out. A clear view of a great back yard can be marred by years of grime on the windows and screens. Any fingerprints around door knobs and light switches should also be scrubbed before opening your home to the public. I know this can be tricky if you have children, so do the best you can! Don't forget about the dust and lint in the laundry area and behind your washer and dryer. In addition, wash bedding regularly to give your bedrooms a clean, fresh appearance and remove any unnecessary items from night stands and dressers to help make the rooms appear larger. Onto the dungeon (i.e. basement)...this can be the hardest cleaning project to tackle when it comes to selling a home, but it can make a big difference. If your basement is unfinished, take a vacuum or broom and be sure to sweep between all of the floor joists and along the sills to get rid of any cobwebs or built up dirt. Clear areas around floor drains, the furnace, breaker box, and other utilities so buyers can get a good look at everything. Again, organizing or packing up items in the store room and furnace room can give the impression that your home contains useful and abundant storage space. If your basement is a bit musty, run a dehumidifier. Some people think that dehumidifiers create a stigma that the basement is damp or wet, however few basements can survive a Nebraska summer without one. If you have experienced previous water problems, make sure to eliminate any items that show evidence of previous water damage or mold. If you do have a seepage or leakage issue (past or present), take measures to correct the problem and fully disclose this to your agent and potential buyers. Hiding problems will create more problems for you in the long run--if you don't tell the buyers, your next door neighbor will probably be over during the showing to let everybody in on the dirty little secret! One final cleaning hurdle to jump over is the family pet. It can be hard maintaining a clean home when Fido and Fluffy are tracking in grass clippings, snow, mud and rain on their little paws every day. Try using a disposable mop on hard surface floors before showings or try to prevent your pet from having the run of the place until the house is sold (i.e. confine them to a specific area). Pet hair and urine stains/smells are the #1 turn off for many home buyers (even if they have a pet of their own). Every buyer has a sensitive nose when they realize that a pet has been kept in the house. Take measures to minimize the effect that your pet might have on the sale of your home, and ask someone who doesn't have a pet to give you their honest opinion about pet odors in your home. This might help you locate some trouble spots. I hope this advice is useful and inexpensive as you consider your next move. For more helpful tips, contact me at 1st Realty Sales and Management at (402) 375-1477 or at thansen@1strealtysales.com. 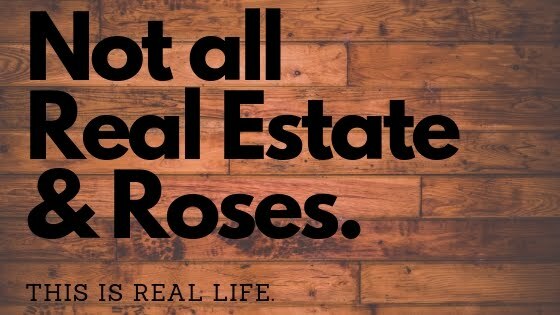 You can also find us on Facebook by following this link: https://www.facebook.com/home.php#!/pages/1st-Realty-Sales-Management/154556820402. Welcome Home! I was reorganizing my linen closet the other day, and I found myself sifting through the sets of towels that I never use because they have been officially designated as the "company" towels. I'm not sure why these towels were ceremoniously designated as only being worthy of use when I have company over. Quite frankly, I have company over that warrants use of the "company" towels about once a year! As you know, family doesn't count as company and close friends do not count as company. They get to see the faded old shreds that I use daily. So why is it that I save these two or three special sets for a 3-4 hour debut every 12 months? And why do I slap the hand of anybody who doesn't fall into the "company" category who tries to dig down to the bottom of the linen closet to use them? I rush to the bathroom as soon as the special company leaves to replace them on the towel rack with the daily use towels, and I'm really not sure who/what I'm saving them for! If I'm like my mother, I will have a set that I absolutely never used because they were just "too nice" for us kids to get our grubby paws on. That set ended up finding it's way to my house when I moved in 5 years ago because she thought that I would get more "company" in town than they did on the farm. Low and behold, those towels are still sitting unused at the bottom of my linen closet. Beware people! If you are coming over soon, those towels will be on display! But don't touch, because they are only for "company!" My advice to anybody that is dearly hanging on to the company towels is to let the kids and your other family members use them. These are really nice towels, and the bottom shelf of your closet should not be wrapped in the plush softness that you could be experiencing daily. Don't save them for the people you rarely see or your real estate agent! I'm going to start letting the people that matter most to me use the really nice towels. Welcome Home! It has been a busy first half of the year for the new owners of 508 West 7th Street. I first started working with Jordan and Cassandra in January. Their first child was on the way, and I could feel their excitement for owning a large home where their family could grow. 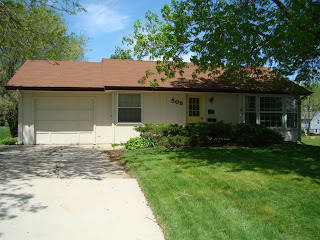 They shared a variety of plans at each home we viewed, but they made it no secret that 508 West 7th was the place that they had been searching for the minute we walked through the door. They talked about how the large backyard was going to make a great place for their new baby girl to play in years to come, and they made plans for each room in the house. Every time I saw them prior to closing, Jordan jokingly threatened to put the checkbook under lock and key to prevent a spending spree on new paint, carpeting, etc. Cassandra is excited about refurbishing the interior of the home, and Jordan can't wait to bring in the heavy equipment to give the exterior a facelift. It has been a fun experience working with this young couple as they continue to make Wayne their permanent home. Welcome home, Widners!